This auction is for a variety pack of Premium Quality Oxbow grass hays. Oxbow's Western Timothy has been harvested at the perfect time to combine and capture the finest benefits of first cut nutrition, with the appeal of second cut softness. 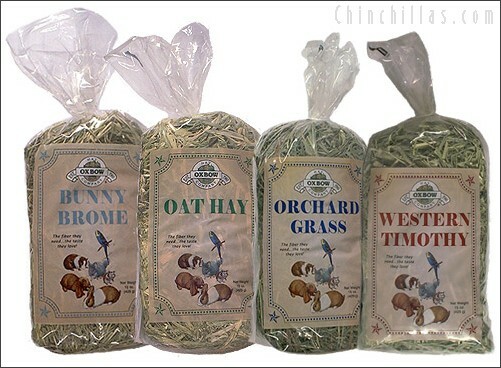 Oxbow's Orchard Grass Hay is a green, fruity-smelling grass hay with a taste small animals really enjoy! Oxbow's Oat Hay is a nutritious, high-fiber grass hay with tasty grain heads! Oxbow's Brome Hay is a tasty grass hay alternative for mature animals! We are offering a 100% Satisfaction Guarantee on these products. If you are not 100% satisfied with this hay, return the unused portion of hay within 30 days for a full refund (shipping excluded).